Although he hasn’t nearly reached Johnny Manziel levels, the life and times of Evander Kane hasn’t always been easy to watch. Drafted fourth overall by the Atlanta Thrashers in 2009, Kane entered the league amidst a lot of hype. He was a Memorial Cup champion, a World Junior Gold medalist, and set a record on his WHL team for goals in a season. His success in Junior led most to believe he was a can’t-miss prospect. He was a big, powerful winger, who had a nasty streak to go along with his offensive ability. But as is sometimes the case with young athletes, hockey was far from the only thing in his life. Evander has a personality. He loves to have fun, and enjoy life. There’s nothing wrong with that, so long as it doesn’t involve anything illegal, and it doesn’t distract you from your job, or affect your on-ice play. Kane suffered some injuries early on in his career, in fact he’s never played a full 82-game season. The most games he’s ever appeared in was 74 in the 2011-12 season. But his on-ice play is often the second thing you think about when his name comes up. In 2011, there were rumors that Kane had requested a trade out of Winnipeg. He and his agent dismissed the claims. In 2012, Kane posted a picture of himself in Las Vegas with a “money phone”. He claimed it was just in good fun, but the post was viewed as offensive. During the lock-out in 2012, Kane signed with Dinamo Minsk of the KHL, but his contract was soon terminated. The coach stated that Evander “could not adapt to hockey in the KHL”. In 2013, Kane stirred up some controversy by tweeting out a homophobic slur. In 2014, Kane was accused of assault in Vancouver. The case was eventually dismissed. Later that year, Kane posted another money picture, this time doing push-ups with stacks on money on his back. In 2015, Kane was involved in the infamous “track suit gate” with his teammates, leading many to believe he was disliked and an outcast in the room. Kane elected for shoulder surgery that ended his season, though many viewed that as a way of him refusing to play for the Jets, and with his teammates. He was traded a few days later to the Buffalo Sabres. Throughout his time with the Jets organization, Kane had many run-ins with former coach Claude Noel, who spoke of the strained relationship between the two. He was a healthy scratch on several occasions, including an incident under new head coach Paul Maurice in 2014. This summer, Kane has found even more trouble while in Buffalo. Evander plead not guilty to assault allegations that included three women, and another NHL player in a Buffalo nightclub. But just as that was getting sorted out, Kane was accused of assaulting a woman in a hotel room. Kane and his representation have denied any wrongdoing. [Read the full story here]. Posting silly pictures is one thing. Getting in tussles with teammates is common. Showing up late or missing practice happens to a lot of guys. But getting in trouble with the law, and for the same thing over and over again, is very concerning. Is Kane’s Talent Worth the Hassle? 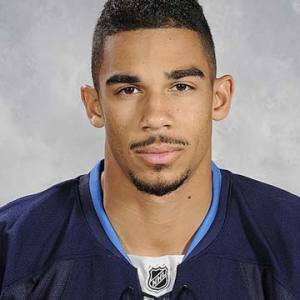 Evander Kane scored a career high in goals (30) and points (57) in the 2011-12. The strong output was supposed to be just a taste of the talent this guy had. But the closest he’s come to those totals was a 20-goal campaign last year with the Sabres. A change of scenery was supposed to make a big difference. And on the ice, he was certainly trending in the right direction. Off the ice, unfortunately, things have been getting worse. Kane is 25 years-old. The earlier issues in his career could be chalked up to immaturity, but now should they be considered a dangerous pattern? Kane has been accused of being cocky, and arrogant, but that is the case with many athletes. That alone shouldn’t be a reason to dismiss his talent. When I hear players labelled as having character issues, I like to give them the benefit of the doubt. Not everyone is going to be well-liked. As long as you come to work every day, give your best and try your hardest, it doesn’t matter what personality traits you have. But the problem with Kane is that his issues appear to be bigger than just being “a jerk” in the room. The Jets hung onto Kane as long as they could, because they saw his potential. But will it ever be truly realized, or will he fall into the category of guys who simply couldn’t get out of their own way? Kane loves attention, he wants to be a star. That’s fine, but too many lines have been crossed in terms of his off-ice conduct, and that’s a problem. Look at a guy like P.K Subban. His act may have worn thin in Montreal, and he certainly loves the spotlight, but he makes headlines by donating millions of dollars to a children’s hospital. I believe everyone can change. I believe in second chances. But what happens when a person doesn’t want to change, or doesn’t believe there’s a problem. In the case of Kane, does his play on the ice make his baggage worth it? Advanced stats suggest that his production should continue to rise, and he has hit 19 goals twice in his career to go along with the 30 and 20 goal years. But how long to do you wait for potential? Kane has to get to his act together. Does he not have the right people around him, or does he do his own thing regardless of advice to the contrary? Kane is playing a dangerous game, because at some point, hoping that he scores 30 goals again may not be enough to put up with everything else. If the Sabres happen to leave him unprotected, would Vegas even take a chance on picking him up? They should probably consider this first: “(Kane is) open about how much he enjoys the “adult playground” that is Las Vegas”. [Sportsnet]. Disaster waiting to happen?